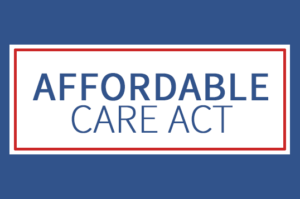 As most some people found out, the affordable care act is not affordable for all. For example, a 50-year-old healthy female in Louisiana that works hard and makes $49,000 a year would not qualify for a subsidy. The lowest cost Bronze Health Plan would cost $475.00 a month. That would be $5700.00 a year. The deductible would be $6,500 and 40% co-insurance after she reached the deductible. The insurance would not pay anything until she reached her deductible, and then she would have to pay 40% of expense until she reached her out of pocket max of $7,150. If the same lady wanted a lower deductible with the Gold Plan, the cost would be $759.00 a month, which comes out to $9108.00 a year. The deductible would be $1000.00 with an out of pocket max of $4,800. This plan would cover expense before she reached her deductible, including for instance doctor visits and generic drugs. If this same lady wanted an affordable care act plan, our recommendation would be to go with the plan for $475.00 a month and get GAP insurance plan to cover the deductible and co-insurance. The cost for her would be $113.70 for $7000.00 of coverage. Her total monthly premium would be $588.70. That is not great, but it would be better than paying $759.00 a month for the Gold Plan. She would save $170.30 a month, which comes to $2043.46 a year. The other option she would have is to not get any type of health insurance. She would qualify for an exemption from the health insurance without question because the lowest cost Bronze Plan costs more than 8.13% of her income. We never recommend this choice, since we never know when we might get ill.
Another good option would be to get the exemption from the marketplace and purchase a short-term health insurance policy. Keep in mind, these policies do not cover pre-existing conditions. If she was ill or has lot of health problems, the best choice would be the ACA plan. The cost for this type of plan would be around $459.00 a month to $281.00 a month. Let’s say she wanted a $1000.00 deductible; the cost of the plan would be $366.00 a month. Once that deductible is met, the insurance company would pay 100% up to $1,000,000. For more information on this type of plan, check out our short-term page. Her other option is to get a plan like Health Choice Select. This plan pays a set amount for stuff like hospital confinement, ICU, outpatient services, and doctor visits. The plan also has a lot of value-added benefits at no additional cost. If you would like more information, take a look at our hospital indemnity page. The point I am trying to make is that you do have choices. One size doesn’t fit all, so it is important that you talk to an agent that keeps up with the current health insurance market. As I stated before, please don’t go with just any type of health insurance. If you should fall ill, you will be sorry you did. If you have any other questions, please contact us.